There appears to be a problem with the portal navigation menu nesting and not displaying correctly in certain browsers. Note that this is a somewhat intermittent problem and it happens when you expand the menus and sub-menus in the left hand portal navigation. 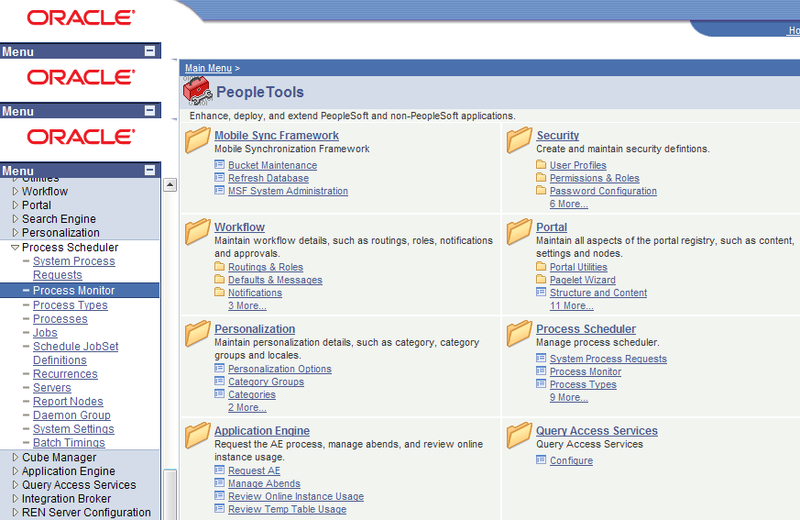 Notice the left hand navigation and the Oracle logo and menu repeating itself. 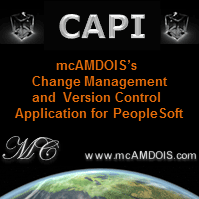 This screenshot is from Campus Solutions 8.9 running PeopleTools 8.48.15 on Internet Explorer 8.0.6001.18702. I'm not sure if this problem has been fixed in later PeopleTools releases. I've noticed a similar problem using the Opera browser however the latest version (9.64) may have fixed this. Anyway, it turns out that if you turn on compatibility view mode in Internet Explorer 8 OR add the site (or domain) to your trusted sites the problem goes away.